Who's Rallying for Murdered Black Women? Reflecting on the recent deadly shooting of an unarmed black woman by a Chicago police officer, Britni Danielle of Clutch magazine asks why women with fates similar to that of Trayvon Martin often go unnoticed. After word of 17-year-old Trayvon Martin’s murder spread across social media, many rightly sprang into action to protest his slaying and hold local police accountable for their sloppy investigation. Since that fateful February night, thousands have rallied in his honor in hopes of urging Florida officials to fight for justice for Martin and his family. But lost in the marches, Facebook statuses, and hoodie pictures are scores of murdered black men and women who most will never know their names. 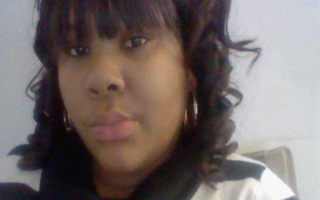 Last week, 22-year-old Rekia Boyd was shot and killed by an off-duty police officer in Chicago. . . Although no weapon was recovered from the scene and Cross, the man who police allege approached the off-duty officer with a gun, claims he approached the officer while on a cell phone, police have tentatively ruled the shooting justifiable. Over the weekend Detroit police discovered a shallow grave which apparently contained two missing women, Ashley Conaway, 22, and Abreeya Brown, 18, who were kidnapped last month. According to police records, the women were kidnapped at gun point in Illinois and forced into a trunk. Brown’s stepfather even told police he exchanged gunfire with the kidnappers in an attempt to save his stepdaughter, but he was unable to stop the men. Conaway’s former boyfriend, Brandon Cain, and his associate Brian Lee were detained last month for attempted murder charges stemming from the shootout with Brown’s stepfather, but the pair have yet to be charged with the disappearance of the women. Scenes like this continue to play out across the country with little notice. For every Oscar Grant or Sean Bell or Trayvon Martin, there are many more Rekia Boyds, Aiyana Jones, Ashley Conaways, and Abreeya Browns that go unnoticed. Why? While we continue to rally for justice for Trayvon Martin, lets not forget the thousands of people who are viciously murdered every year. Justice shouldn’t only be reserved for those whose families and friends are able to get social media to take notice, but for everyone who is a victim of crime.